On Tuesday there was a live-ticker on Brueckenkopf, for which i gathered a couple of running projects to continue. A short overview, what we are talking about. 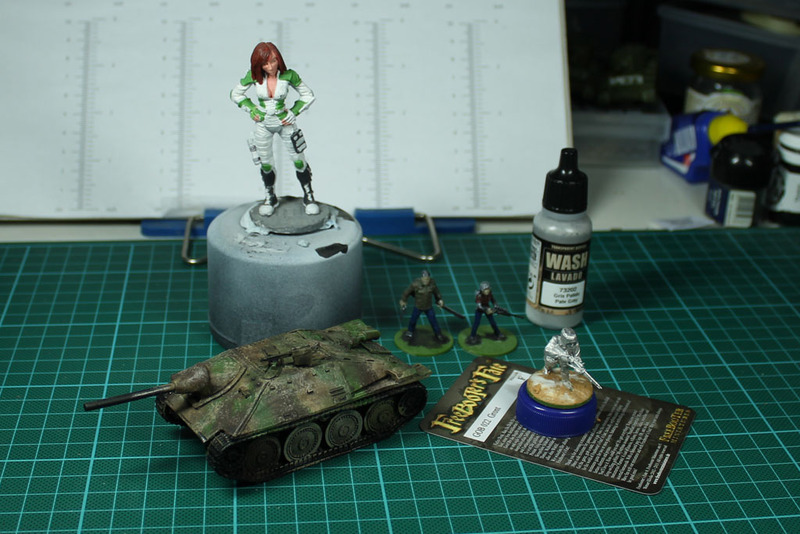 A uber-large Woman sculpted by Werner Klocke for Reaper, a paint in progress Hetzer, the White Dead from Warlord Games and two survivors from Hasslefree. 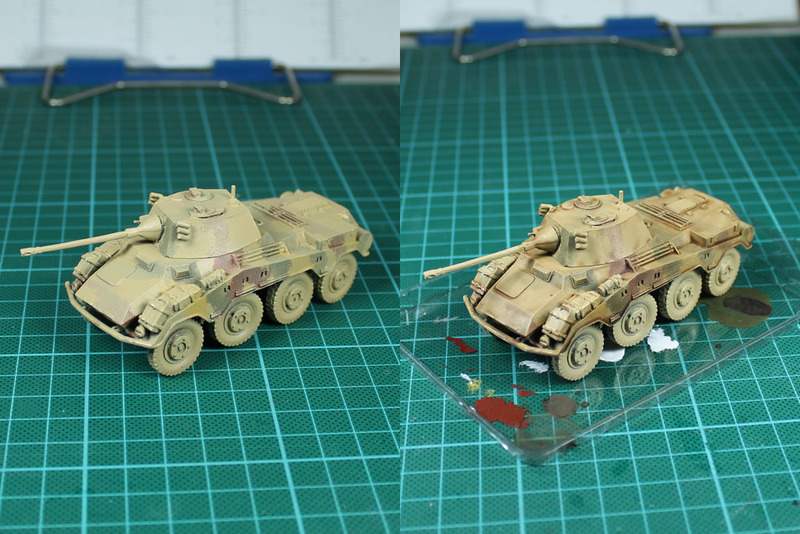 The hetzer got additional color. Germany grey on the rolls, as well as the MG. The exhaust became more rusty, its still wet on the picutre. 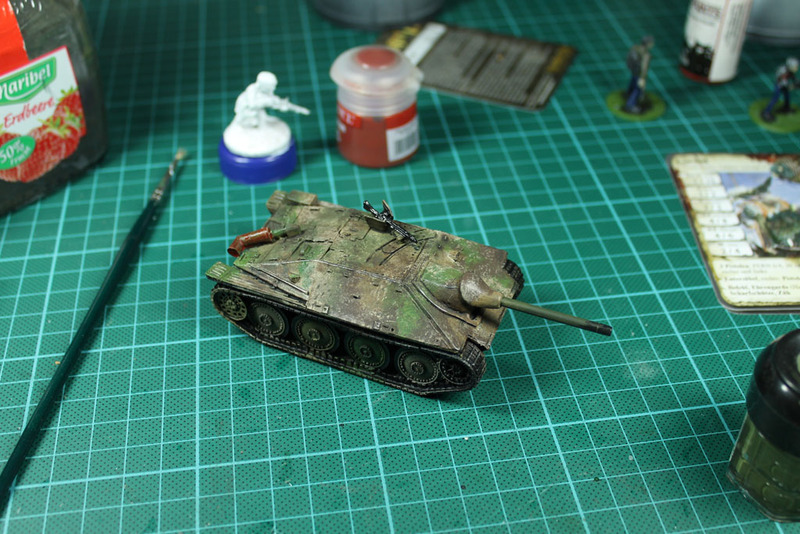 And due to the feedback i added camo to the cannon. The bonus miniature from "Italy and the Axies". I started doing the base with MDF filler and pva glue, as it seems to be a good fit for snow, better than white painted sand. 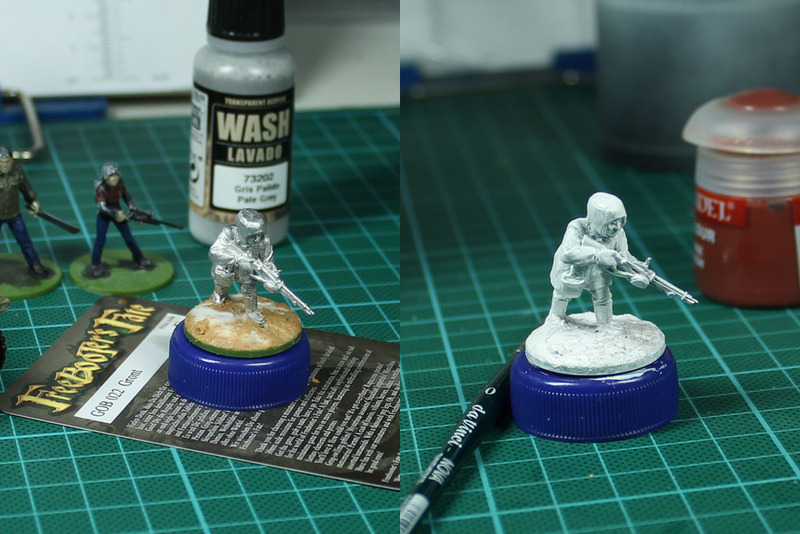 A quick primer and letting it dry. But a first wash before the next steps. 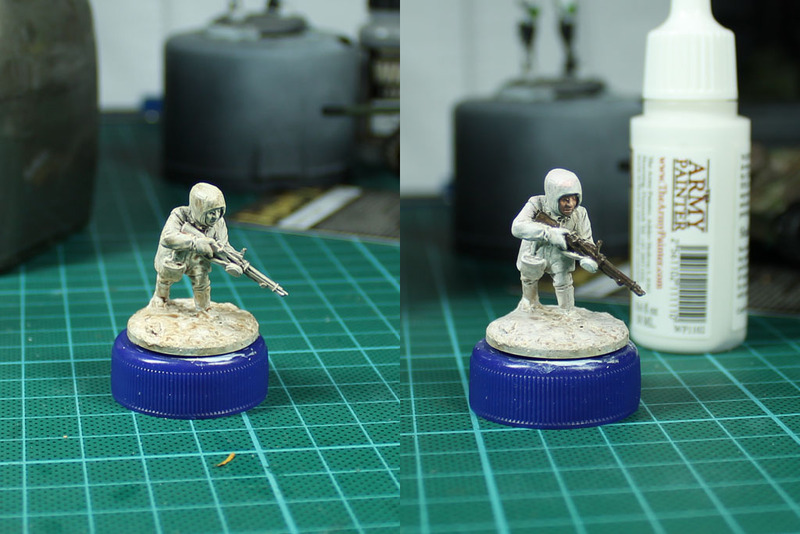 So the finnish sniper got a quick wash with AP Soft Tone and drybrush with white. In the 4th pic, you see the first layers of paint. I am still not sure, if i am going for a total white camo suit or just the jacket. Perhaps, trousers grey and boots brown, like in the showcase picture. Would give the miniature a bit deepth. 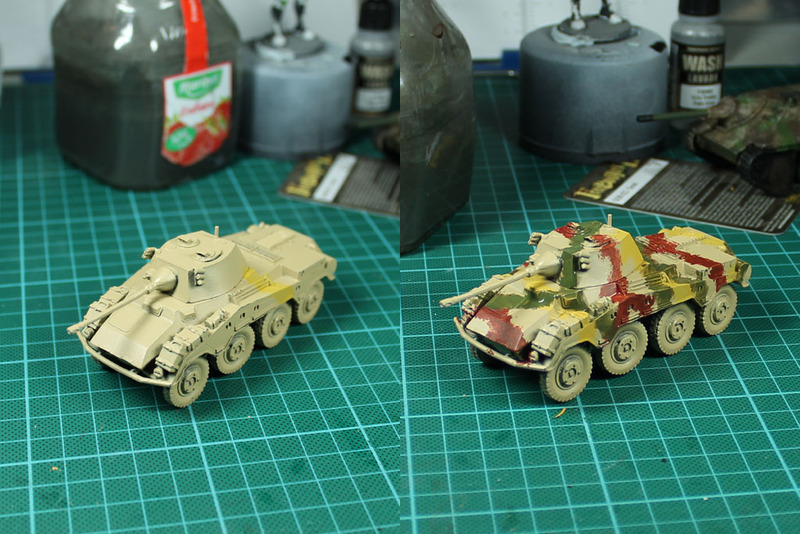 The SdKfz Puma was primed with Bolt Action German Dunkelgelb and then I added 3 more colors. First look is irritating and not satisfying. But it gets slightly sprayed with Dunkelgelb again and washed with Soft Tone. 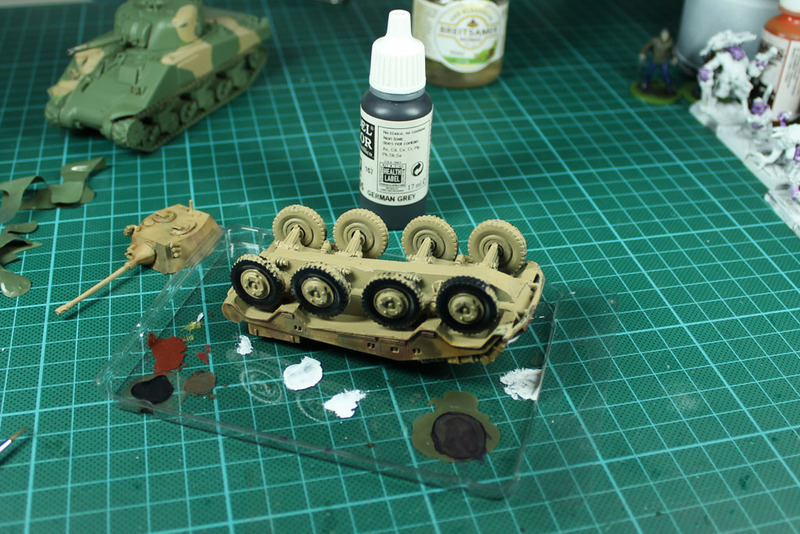 And i started painting the wheels in german grey. 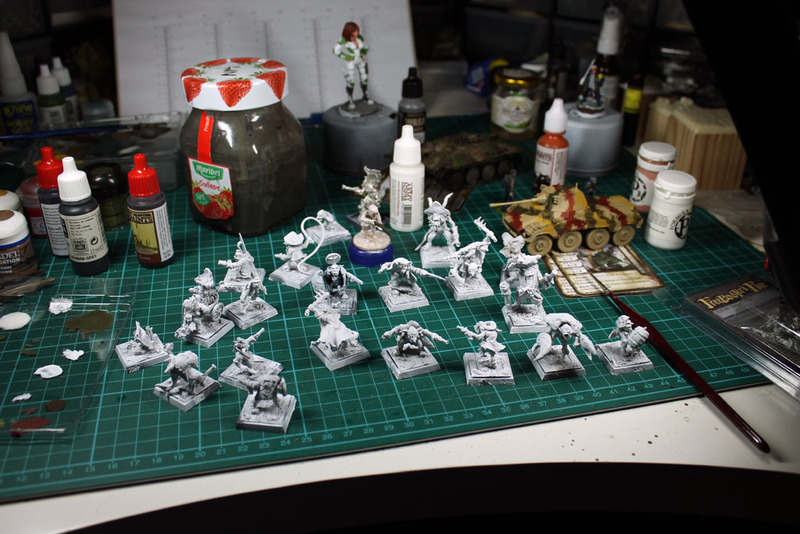 The Freebooter Goblins got their white primer and were checked for mold lines. Many of those are being noticed to late during painting and this is the last chance to get rid of them. Here and there some smaller things had to be taken care of, but i could go on. 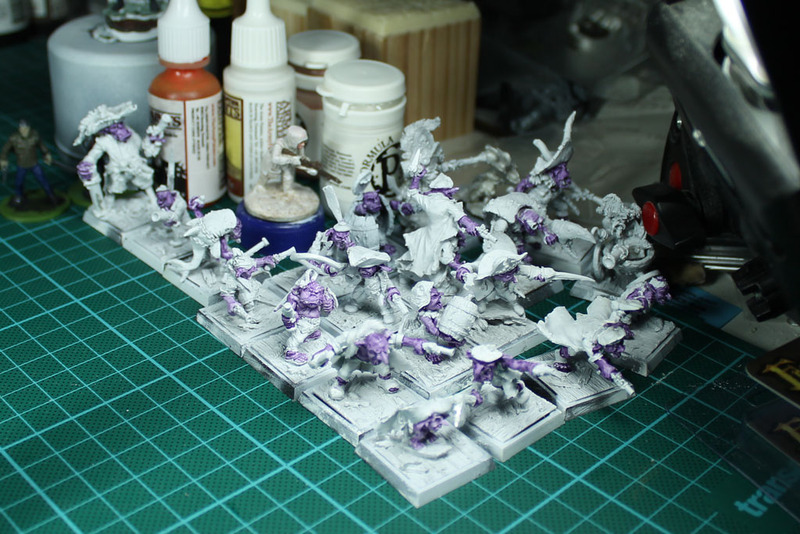 First layer of flesh is painted with Purple Wash from Army Painter (followed by two washes of green). 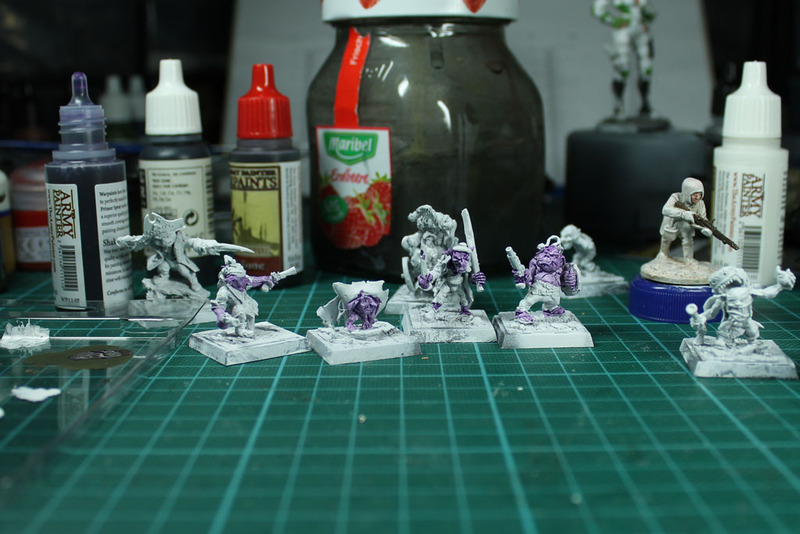 I have to say, doesn't look bad, a small squad of blue or red skinned Goblins would be interesting.